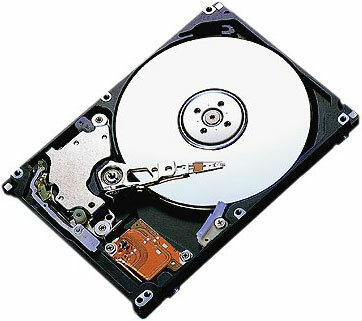 Hard Disk Drives, or HDDs were first introduced by IBM in 1956, nearly 60-year old technology. An HDD uses magnetism to store data on a rotating platter. A read/write head floats above the spinning platter reading and writing data. The faster the platter spins, the faster an HDD can perform, typical laptop drives today spin at either 5400 RPM (Revolutions per Minute) or 7200RPM, some server based platters can spin at up to 15,000 RPM. 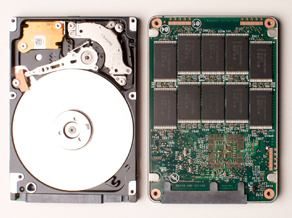 HDDs predominantly use the SATA interface. 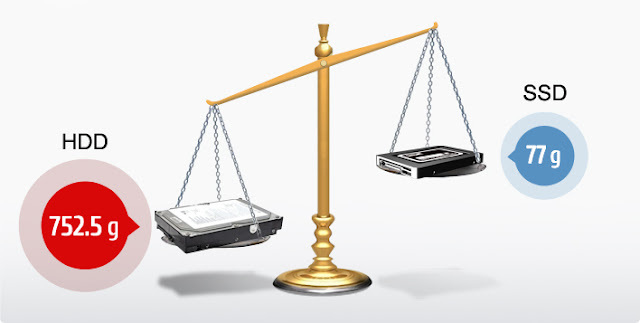 The most common size for laptop hard drives is the 2.5” form factor while a larger 3.5” form factor is used in desktop computers. The larger size allows for more platters inside and thus more storage capacity. Some desktop hard drives can store up to 4TB of data. HDDs look essentially the same from the outside as an SSD. 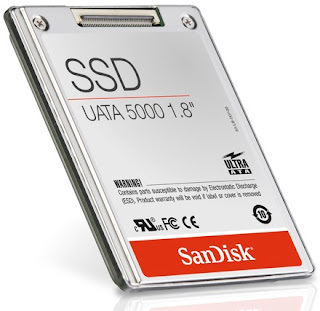 SSD stands for Solid State Drive. You’re probably familiar with USB memory sticks, SSD can be thought of as an oversized and more sophisticated version of the humble USB memory stick. Like a memory stick, there are no moving parts to an SSD. Information is stored in microchips. Meanwhile, a hard drive uses a mechanical arm with a read/write head to move around and read information from the right location on a storage platter. This difference is what makes SSD so much faster. As an analogy, what’s quicker, having to walk across the room to retrieve a book to get information or simply magically having that book open in front of you when you need it? That’s how an HDD compares to an SSD, it simply requires more physical labor (mechanical movement) to get information. These days most people are buying laptops for their computing needs and you have to make the decision between getting either a Solid State Drive (SSD) or Hard Disk Drive (HDD) as the storage component. So which is best to get, a SSD or HDD?